Tablets are extremely appealing due to their portability and their user-friendly nature. However, in spite of the popularity of the iPad, Android tablets are superior to this famous and stylish Apple product. Here are eight significant reasons why an Android tablet is much more likely to meet your needs. All iPads require syncing with iTunes if you want to update them or add new content. However, Android tablets allow you to buy apps from the Android Market (“Google Play”), download them onto your computer, and send them to your tablet without having to go through the hassle of syncing. The newest iPad comes with a dual-core processor, but some Android tablets (such as the Asus Transformer Pad Infinity) now have quad-core processors. In addition, Android tablets like the forthcoming Lenovo K2 will offer an impressive 2GB of RAM. This means that an Android tablet can provide you with the opportunity for genuine and effective multitasking. When an iPad battery fails, you need to replace the whole tablet because the battery cannot be removed. In contrast, Android tablet batteries tend to be straightforwardly replaceable, and so you can simply buy a new one. This is both easier and less expensive. The iPad has a 9.5-inch screen, but Android tablets come in a huge range of different sizes. For example, Dell and Acer offer 5-inch tablets, Samsung provides a 7-inch option, and the Motorola Xoom comes in a 10-inch size. If you buy an Android tablet instead of an iPad, you will be able to purchase something smaller and more readily portable, or something larger and more visually impressive. The newest iPad stores up to 64GB. However, some Android tablets offer larger amounts of space. For example, the aforementioned Lenovo K2 is expandable to 128GB. Apple products are notoriously expensive, while their Android equivalents are much more affordable. For example, the Asus Eee Pad Transformer is around $200 cheaper than an iPad, and it can be easily converted to a notebook computer due to its optional keyboard. Meanwhile, the 7-inch Nexus tablet can be bought from Google for $199, in spite of the fact that it contains a quad-core processor and offers 1GB of memory. The newest iPad has a 5-megapixel camera. In contrast, the Asus Transformer Pad Infinity has an 8-mega pixel camera, and is widely thought to be the tablet capable of producing the best photographs. The iPad does not support USB connectors, which has long been a source of dissatisfaction among its users. Most Android tablets, on the other hand, come with USB connectors as standard. In sum, there is much to recommend an Android tablet over an iPad. 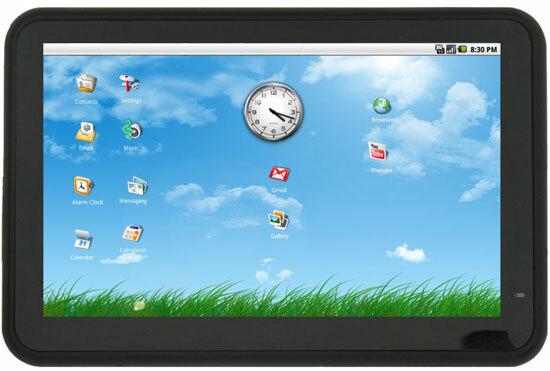 Any company that can make hardware capable of supporting the Android operating system can produce an Android tablet, and so a much more extensive and impressive range is available. Guest article written by: David Kendall contributed this guest post on behalf of WhoIsHostingThis.com – learn more about the company by visiting their site. David is a freelance technology writer and his articles appear on various gadget blogs. Awsome, your right. I have saying exactly to my friend that why i would buy an Ipad if i can get Android. Same thing for Galaxy versus Iphone. I used both but android tablet is better than iPad. new android before the year ends. Flashing custom ROMs is the best reason to buy android and not an iOS device!! Although I feel a little bit assured by your review now, I totally understand your points and I agree with you, but still I feel a little bit sceptic with the android platform. The iOS is more secure and safe, although it isn’t as flexible as the android. Everybody should make their own compromises. I totally agree with you on this one. I don’t get why people would want to buy an ipad when there’s clearly superior products on the market. Anyway, my friend did buy an ipad a few weeks back, because he was developing an app for the ipad and obviously he needed to test it. Great excuse to buy yourself a new gadget, I guess. Great post. I totally agree. I don’t understand why apple always want people to sync with iTunes! It put me off the iPods years ago and I would have thought they would have changed it by now. I do like the way the iPad feels but that is possibly all it has going for it. This is good info but I’m over all “PAD” devices. Just gave my iPAD to my 11 uear old daughter. I’ve found that I MUCH prefer a laptop. Using a Macbook Air now. Well… As a heavy Apple user after reading the title I was going to drop here a solid sentence saying that the author isn’t right 🙂 But… I can’t agree with point 2, but all the other remarks sound reasonable. Even though I’m not going to sell my iPad, I’ll probably express more interest into current market offer when thinking of replacing it. I love Android because it is an open source platform. We can root our device and install any of the custom firmwares. In Android we can install any unknown source apps which is missing on Apple operating system. Android is an open source platform so you can do anything. One of them is you can install apps from an outside source. Next post: Rooting Android Devices: Know the risks!